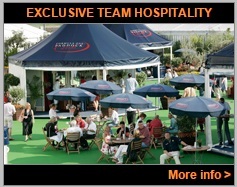 F1 Grand Prix Tours will provide you with a great opportunity to experience the 2019 Pirelli Spanish F1 Grand Prix as well as the sights, sounds and people of Barcelona. 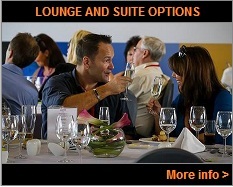 We can offer you accommodation in superior 4* Mediterranean beach resort located on the Marine Promenade of Santa Susanna, only 30 km from the circuit, combined with your return flights, general admission or grandstand race tickets, to form the basis of an unforgettable 2019 Spanish Formula 1 travel package. You must book a minimum of 3 nights, which may be extended on request, to give you more time to explore Spain, Barcelona or the region’s many sightseeing possibilities. Spain is Europe’s fourth largest country, and its climate varies dramatically according to altitude as well as latitude. Spain is a country on the move, a place of rapid change. High-speed railways have conquered the country’s mountainous terrain and many cities now have modern metro and tram networks, testifying to a vibrant and growing economy. But here, too, you will find a country where time stands still, where Roman columns rise into a clear blue sky, where crumbling Arab watchtowers maintain a lonely vigil over vast and magnificent landscapes, and city plazas where the baroque jostles with the modern to strike a uniquely Spanish harmony. Spain is the third most popular tourist country in the world, and it’s not hard to see why. Mediterranean beaches, sangria in the sun and paella by the plateful. What will never change is the Spaniards’ passion for partying. Snack on tapas as you skip from bar to bar, before heading off to enjoy Spain’s infamous nightlife. 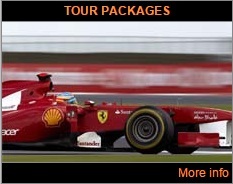 A magnificent backdrop to your 2019 Spanish Grand Prix tour!